In 'Steve Jobs,' A Life Told In 3 Acts — And Countless Complexities The mercurial Apple co-founder helped shape the world and our daily lives. Still, director Danny Boyle says, while "he's made some of the most beautiful things imaginable, he is himself poorly made." 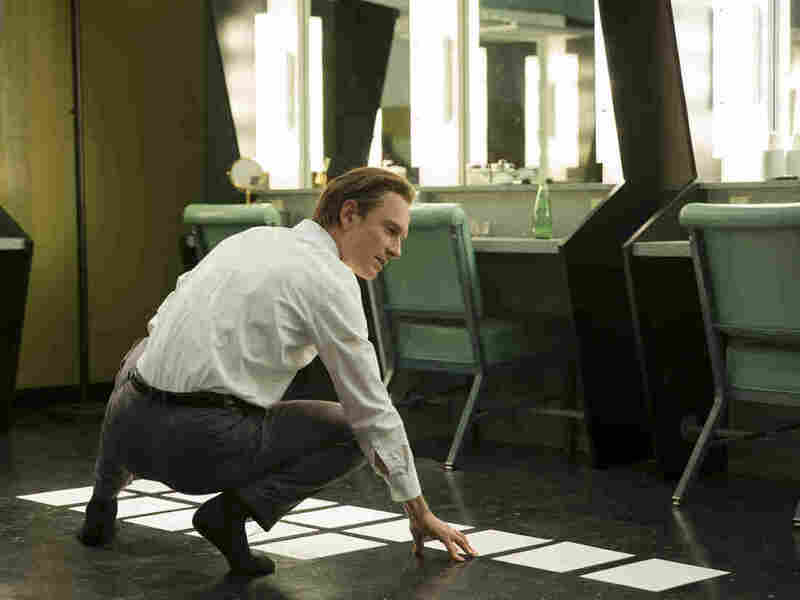 Michael Fassbender plays Steve Jobs in the film, directed by Danny Boyle. "Steve's obsession is where we're going, not where we've been," Boyle says, "and he is maniacally focused on that, and will eviscerate anything that reminds him of the past." Steve Jobs was a man whose vision helped change how the world sees and uses technology. He was also an indifferent father, a selfish colleague and a mercurial, even abusive, boss. A new film from director Danny Boyle shed light on all these facets of the complex founder of Apple. Boyle, together with screenwriter Aaron Sorkin and leading man Michael Fassbender, set out to create a tightly wrought record of one of the late 20th century's most iconic figures — which Boyle found to be a tall order. "It was a challenge like I'd never faced before. The way it's written, you have these three scenes with six characters — and that's it! There's no manual explaining how you might do this," Boyle tells NPR's Michel Martin. "It's a provocation to a director about how you might actually try and capture what we call the sound of [Jobs'] mind, really. And can you make a film of that? Can you make cinema of that?" 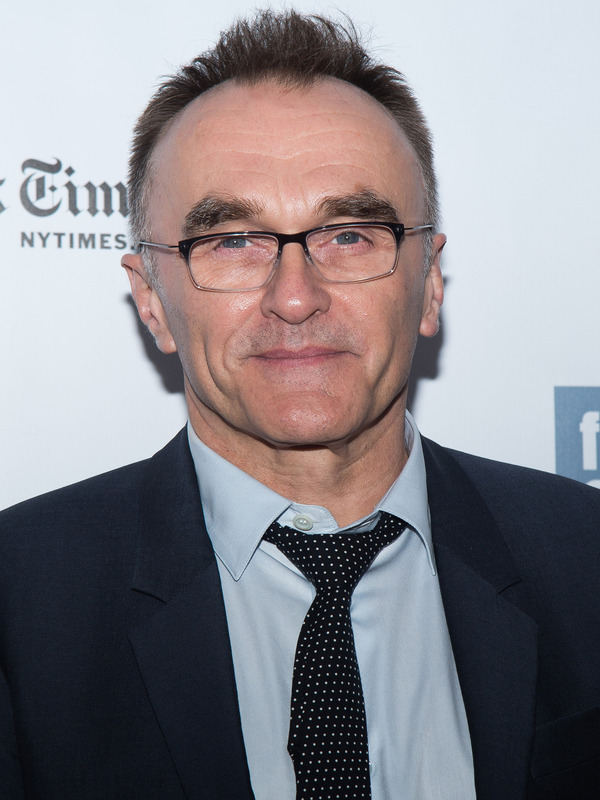 Danny Boyle, at the New York Film Festival presentation of Steve Jobs in New York, on Oct. 3. I was so different to anything I'd ever read. You know, I think your listeners will probably be familiar with Aaron Sorkin. He writes astonishing dialogue — just breathtaking. Even [Quentin] Tarantino, who writes some pretty good stuff himself, said that he's the greatest American writer of dialogue. It was an attempt to get at one of the key figures in our lives. So it's in a lineage from Aaron Sorkin's previous film, Social Network, which dealt with Mark Zuckerberg and the origins of Facebook. These are the key people in our lives. Their stories are often protected by the huge corporations they've ended up building, which have taken over from the banks, the oil companies, from the pharmaceutical companies — these people are the controllers of the world in many ways, more powerful than governments. It was wonderful to address that. And secondly, it was that it's a very human story, because it's actually about fathers and daughters. And actually, I have two daughters — and although I hope I didn't behave to them in the way that you see Steve Jobs behave at times towards his daughter, Lisa, I know there's been sacrifices in my own life that I've made, in terms of my relationship with them, in order to pursue a career, you know. So it becomes something that you can feel very personal about, as well. It's a different way of looking at someone who belongs to us, came out of us, extraordinary man though he clearly was, and you create a character based on this historical figure. It's very uncompromising. And I love that about it, and certainly Michael Fassbender's performance does not compromise, in a truly noble way. Because it's a danger with movies: You know, you've got studios, there's lots of money involved — everybody wants the likability factor. But you have an obligation with Jobs to deal with some of the reputation, which is evidenced, you know, it's clearly evidenced by people who knew him, about his behavior. And of course, what you're trying to show is why he behaved like that. There are many — some personal, some business — reasons why he did that, which are explored in the film through these individuals ... through his relationships. And with [Steve Wozniak], it's an acknowledgment of the past, really. Because Woz's drive — he's brilliantly played by Seth Rogen — you know, he's a decent man and a brilliant engineer, who just wants [Jobs] to acknowledge that he's standing on the shoulders of giants. But Steve's obsession is where we're going, not where we've been, and he is maniacally focused on that, and will eviscerate anything that reminds him of the past, in a way. He was so concerned, especially in the early scenes, where he's trying to literally create — it's like a creationist myth. He's trying to kind of make you believe in something that doesn't exist yet, that you can't even imagine yet. He can only do that, he feels, by actually not acknowledging all the people who've helped him. The other thing, Michel, that's strange doing stuff like this, is it's very like film directing. Because I also don't have any skills, like Woz accuses him of [in one scene]. I can't fix a camera, I can't really act, I can't do makeup, costumes, stuff like that. But you synthesize the talents that can, and you give them a vision, you know, something that doesn't exist yet, that you're all aiming towards. 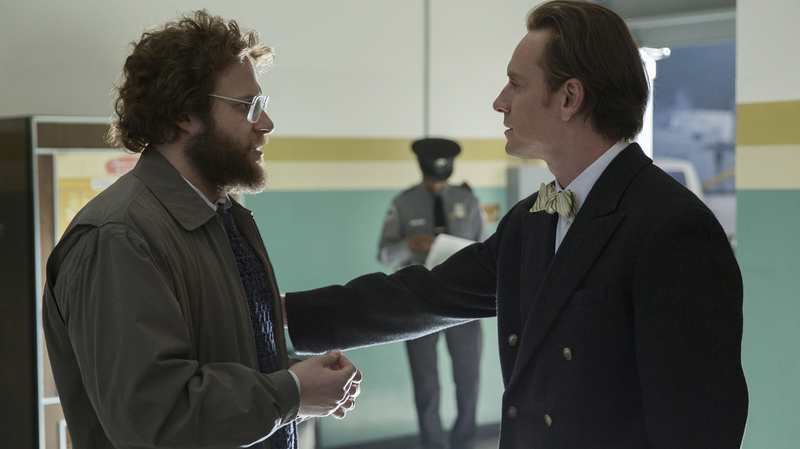 In the film, Steve Wozniak (Seth Rogen, left) seeks to bring Jobs to acknowledge that, in Boyle's words, "he's standing on the shoulders of giants." You have to be responsible. I mean, I'm a believer in what Woz goes on to say, which is that it's possible to do great work and behave decently at the same time. You know, that's one of the key golden threads that runs through the film. I think these companies and their products have turned the world on its axis, in literally the blink of an eye. These people often then become unanswerable, because they bring prosperity and progress to so many places in the world that nobody wants to challenge them about what are they based on. And with Steve, it comes out of [the fact that] he made products that people fall in love with in a way that I think we never really imagined it would ever be possible — to literally have a romance with a piece of equipment. And so many of us do: You know, it's the last thing we say good night to before we go to sleep; it's the first thing you check when you wake up. We take these things to bed now! And yet, 40 years ago, our image of computers was, you know, faceless, monstrous things, really, which were frightening, and every development they made was a threat to mankind. He turned that around to make you feel that the personal computer could be a warm, friendly thing that would be your sidekick. We are all flawed. ... There's this intensely powerful man, who, by the time the film finishes — and the launch of the iMac is clearly going to be hugely successful, and to change the world — and [Sorkin] brings him to task, really, about what he has sacrificed and what pain he has caused in order to achieve that. It's interesting the way that the film strips him almost of language eventually, which he's so brilliant and punishing at — brings him almost to silence in a way. And an acknowledgment that though he's made some of the most beautiful things imaginable, he is himself poorly made.